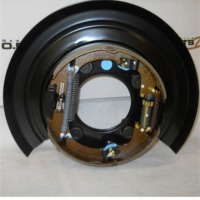 Browse automobile-brakes-spare-parts suppliers by country and region. Brake calipers, cylinder liners, exercise book & spiral book, diesel generator sets & spare parts, door accessories, automobile brake caliper spare parts. Short on time? Let automobile-brakes-spare-parts sellers contact you. Brake rotors, brake pads and hub bearing units. We specialize in manufacturing semi metallic brake pads. 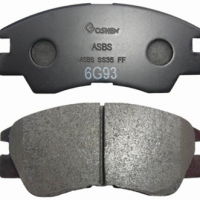 Brake Pads are subjected to strict and complex tests. Ultimately, premium pads should pass all the tests with ying colors, both in terms of safety and comfort. JMS brake pads are put through their paces in laboratory, on high-tech test benches, and most importantly on the road. 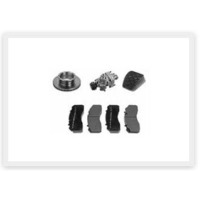 JMS Brake Pads are popular in the Market for the following: Excellent Mileage Consistent Performance under continuous braking No Brake Fade No Damage to the Drum or Disc Smooth Braking Noiseless With Continuous R&D and thorough testing, provides new materials to ensure future benefits in performance, comfort, competition, and reduced environmental impact. We already have more than 600 types of brake pads for Japanese, European, American and Indian Passenger and Commercial Vehicles. Chivic Auto Parts Industrial & Trading Co., Ltd.
(brake hose,hydraulic brake hose, hydraulic clutch hose, brake flexible hose, automobile brake hose,automobile hose, motorcycle brake hose,brake tube hose,brake line hose,brake pipe hose£¬dot) Standards: FMVSS 106 DOT, SAE J1401, MS-EA70, ESA-M96D4-A, GM6403M, ISO 3996, JIS D2601, FR31302 1973, ADR 7, NTC 977, TL-VW 821 52, GB16897-97 etc. Application: Vehicle with hydraulic brake system. Car, passenger cars, multi-purpose passenger vehicles, light truck, trucks, buses, trailers, light commercial vehicle, Jeep, motorcycle, scooter, ATV, forklift, snowmobile, three wheeler etc. Feature: Low volumetric expansio, Ozone and UV resistance, Exclusive whip dampener, Excellent moisture resistance, High corrosion resistance Superior weather resistance cover material, Low and high temperature toughness range degree Celsius -50 to 121, Compatible with FMVSS 116 DOT 3, DOT 4 and most non-petroleum based brake fluids,Reasonable construction with three layer rubber and two braid PVA reinforced. Best Regards . Kst brand brake hoses are dot certified quality products. Made according to sae j1401 standard, meet and surpass fmvss 106, iso 3996 etc international safety standards. brake hose bracket, auto bracket,brake bracket, automobile bracket, hydraulic brakes All the brackets can be made with mild steel, stainless steel and brass material. Various brackets to suit different fittings and brake hose assemblies. Total 85 items. Kass Brake Pads & Shoes are manufactured in Korea. All Kass Brake Pads & shoes are asbestos free and heavy metal free. No squeals due to special formulated friction compound mixture.